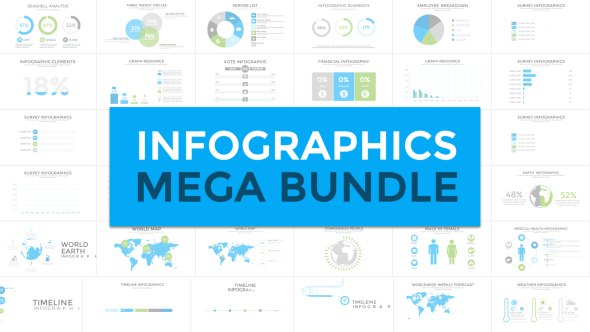 Infographics Mega Bundle contains more than 300 infographic elements and scenes. This project will help you to create your own video, explainer, presentation, etc. All scenes are ready to use, just pick up the needed from huge library, and construct your own story.